This is “Product Design and Development”, chapter 10 from the book An Introduction to Business (v. 1.0). For details on it (including licensing), click here. To see the PowerSki Jetboard in action, visit the company’s Web site at http://www.powerski.com. Watch the streaming videos that demonstrate what the Jetboard can do. Have you ever wanted to go surfing but couldn’t find a body of water with decent waves? You no longer have a problem: the PowerSki Jetboard makes its own waves. 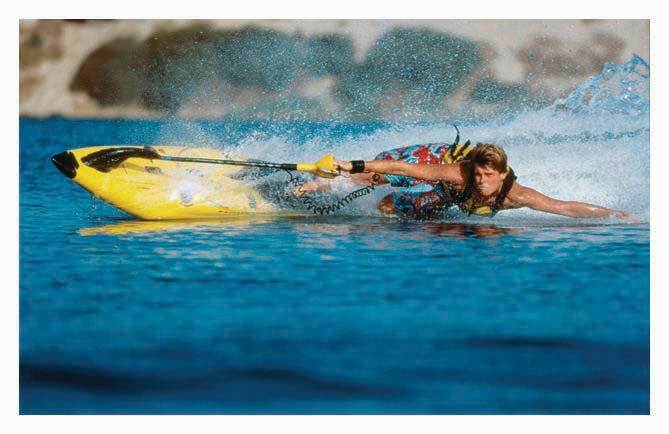 This innovative product combines the ease of waterskiing with the excitement of surfing. A high-tech surfboard with a forty-five-horsepower, forty-five-pound watercraft engine, the PowerSki Jetboard has the power of a small motorcycle. Experienced surfers use it to get to the top of rising ocean waves, but if you’re just a weekend water-sports enthusiast, you can get your adrenaline going by skimming across the surface of a local lake at forty miles an hour. All you have to do is submerge the tail of the board, slide across on your belly, and stand up (with the help of a flexible pole). To innocent bystanders, you’ll look like a very fast water-skier without a boat. Where do product ideas like the PowerSki Jetboard come from? How do people create products that meet customer needs? How are ideas developed and turned into actual products? How do you forecast demand for a product? How do you protect your product ideas? These are some of the questions that we’ll address in this chapter.